Back on the market! Lucky you! 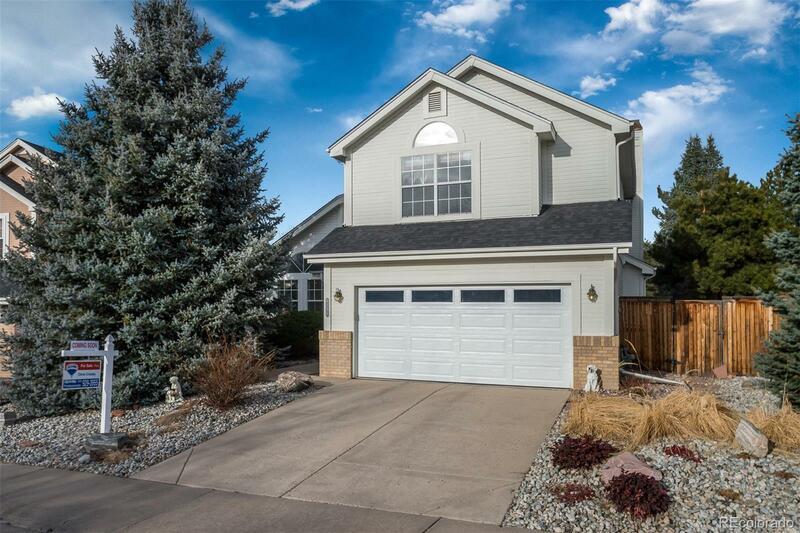 Amazing Value in a coveted area of Highlands Ranch on over a 1/4 acre lot! This home is sold by the original owner and features 3 bedrooms upstairs with 2.5 baths. Relax in the park-like backyard, boasting mature trees and including multiple patio areas and a deck, giving you endless possibilities for outdoor entertaining. Inside you'll find large windows and soaring ceilings. The formal dining room connects off the kitchen and includes a cozy bay window and eating area. The private master bedroom has vaulted ceilings and a walk-in closet. The unfinished basement awaits your personal vision; new water heater just installed. New garage door installed. Backs to greenbelt/walking trails. You are just minutes from Ridgegate shopping, I-25, C-470, light rail, rec-center, Park Meadows and more. Don't wait as homes with this lot size don't come up often at this price!